range in size, material, and dimensions. Contact us to find the right vacuum lifting equipment for your cladding job. Sometimes a reno job means a cladding change or upgrade on the exterior of a structure. 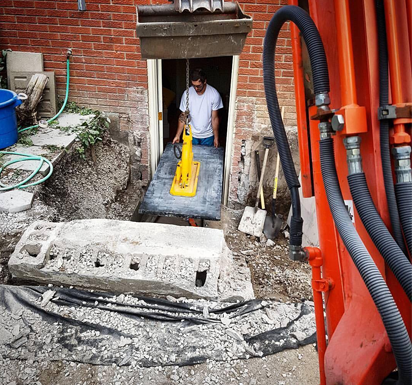 Trust MQuip to provide the of vacuum lifting attachments that are needed most by commercial property owners, construction crews, crane and backhoe operators, residential contractors, and home owners themselves. The traditional means of moving and affixing different types of siding are cumbersome. Contact us to reduce your risk and start moving cladding materials with ease and efficiency today.